While maintaining an active role in sales, Alex is Managing Director of Harcourts Realty Plus, a reputable office and also one of the most successful real estate agencies Australia wide. In fact, under his management, Harcourts Realty Plus ranked Number 6 Office nationally from a pool of 395 Harcourts offices. A former owner of several businesses in the service and retail sectors, Alex began his real estate career in Fremantle in 2007. Within a very short time, given a natural aptitude for people, sales and top results, he was not only selling plenty of property, he received Harcourts WA’s Rising Star Award, a very prestigious honour and sign of things to come. By 2009, again a very short time in anyone’s estimation, Alex was the proud owner of Harcourts Realty Plus together with Tracy Garbes, Director of Sales and Training, and Gordana Caruso, Licensee and head of a very successful Property Management Department. With the multi award-winning agency now attracting the area’s largest market share in its core areas, and home to 25 staff across both its residential sector and commercial arm (NAI Harcourts), he hasn’t looked back since. Born and raised in Cockburn/Fremantle, and with a family history of local business ownership, Alex is well-known and highly regarded in both the community and the wider real estate industry. He speaks fluent Italian and is sensitive to the values and heritage of the wider multi-cultural community. Alex draws upon a large network and an extensive database when marketing properties to prospective buyers. A confident agent with a positive outlook, Alex firmly believes there is a buyer for every home. Known for his openness and transparency, Alex tells it as it is from the outset, drawing upon exceptional knowledge of the area and its marketplace. He also brings strong sales strategies and negotiation skills to each sale, while also maintaining fewer average days on market than most – and still ensuring a premium price. Alex draws great personal satisfaction from seeing vendors achieve their property goals and helping them move onto the next phase of their life. While overseeing the business and implementing plans for moving it to even greater levels of success, he also enjoys mentoring staff and helping them maximise their potential. A committed family man who loves spending time with his wife Pam and two beautiful daughters Alessia and Ellie, Alex is also Vice President of the Fremantle United Soccer Club and Executive Committee Member of the Fremantle City Football Club. He’s also pretty passionate about the Fremantle Dockers, Italian soccer team Juventus and English Premier League team, Chelsea! Gordana has been in the Real Estate industry for over 16 years and is also part owner of Harcourts Realty Plus since doors opened 5 Years ago. She has worked in all areas in real estate but has really excelled her career as property manager. With her knowledge and backing she has developed an award winning team in property management. She has implemented great procedures and strategies that keep the property management department growing while still offering nothing but professional and quality service from al her team members. She is only one of very few Licensees that have come from a dominant property management background. This is why our property management department stands out from other companies because she knows what it takes to run a successful Property Management Division. When Gordana isn't working hard she has a passion for baking lovely tasty treats, soccer and driving fast cars. Cherie started as a Receptionist with in Real Estate in May 1993 and was involved in Sales Administration and assisting the Property Management Department in that position. In 1997 she was promoted to the position of Company Administrator, a position held until she decided to move into Sales & Marketing in 2013. She has a thorough knowledge of the Real Estate Industry gained from years of experience and Market Knowledge of changing conditions. Cherie was born and raised in the Fremantle area, now settled with her family in their own home in Munster. She is a proud member of her community and has always been actively involved in her children's school, St Jerome's Primary School, in the classrooms, canteen & P&F committee. Cherie brings a fresh approach and enthusiasm to her sales along with knowledge of the area and the market gained by years in the business. She understands the importance of being part of a successful team and she always puts her clients' interests first to help them achieve what they want. Craig is a member of Team Trolio, a real estate team who collectively have grown up in Spearwood and Hamilton Hill. Team Trolio were awarded as a Reiwa top 20 sales team in Western Australia for the total number of listings sold in 2015. The team are complimented by Danielle, who assists in sales support. Unlike most other sales reps in the area, Team Trolio consistently invite other real estate agencies to work together in achieving the best outcome for their client. Between the team, languages spoken are English, Italian, Croatian and Serbian. They have experience in the marketing and sales of both strata and non-strata property, over 55’s residences, small and large development sites, vacant land and can be of assistance with commercial, business and rural transactions. The Team look forward to offering their services. They are supported by many testimonials endorsing their level of service and capability and hold a current sales license as well as a police clearance. Craig is a Triennial License holder having achieved his Diploma in Property. He holds a Bachelor of Commerce in Marketing and Accounting from Murdoch University and is a multiple recipient of several awards for top performance across different Real Estate Groups. Kris has a Grad Diploma in Marketing and has been involved in selling Real Estate in the Fremantle area for the past 17 years. He specialises in HILTON and BEACONSFIELD, but is also active in selling in White Gum Valley, Coolbellup, Hamilton Hill, Samson and the Fremantle/South area. With 17 years selling experience in general Fremantle, he has built up a strong product knowledge of the local real estate market/area which is so important in helping aid a sale. Kris is married with 2 children, daughter Alex and son Kaiden, and his interests include history (particularly early 20th century – he was a high school history teacher before real estate), music (favourites incl. David Bowie, Lou Reed, The Band and more recently The Killers) and his beloved North Melbourne Football Club where he has been a proud member for the past 24 years. Also he has been struggling to teach himself (badly!) the Arabic language for the past 3 years (it’s so incredibly hard but so interesting) and for some reason finds ironing clothes relaxing! Kris’s philosophy in real estate is that ‘As a real estate agent you owe it to your seller to try and achieve for them the best possible selling price, as they are giving their trust to you to sell possibly their most valuable asset’. For a no obligation up to date market appraisal, or for a general discussion about your real estate needs please feel free to contact Kris anytime. Luke is a member of Team Trolio, a real estate team who collectively have grown up in Spearwood and Hamilton Hill. Team Trolio were awarded as a Reiwa top 20 sales team in Western Australia for the total number of listings sold in 2015. The team are complimented by Danielle, who assists in sales support. Unlike most other sales reps in the area, Team Trolio consistently invite other real estate agencies to work together in achieving the best outcome for their client. Between the team, languages spoken are English, Italian, Croatian and Serbian. 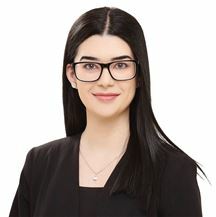 They have experience in the marketing and sales of both strata and non-strata property, over 55’s residences, small and large development sites, vacant land and can be of assistance with commercial, business and rural transactions. The Team look forward to offering their services. They are supported by many testimonials endorsing their level of service and capability and hold a current sales license as well as a police clearance. Luke holds a current Triennial License having achieved his Diploma in Property, as well as a Bachelor in Commerce majoring in Marketing and Economics at Murdoch University. Mark entered Real Estate in 1988 to join his father Tom in the family business. Following that his talents were recognised and he was subsequently employed by a large multi-national company working in Marketing and Sales. He was promoted and career moves took him overseas for 2 years working as a Regional Manager in the South Pacific then back to Perth as State Manager for 3 years and finally to NSW for 2 years managing National Accounts. For family reasons Mark returned home to WA in 2006 and back to his first love, the property business. Mark has now joined Harcourts Realty Plus to utilise his extensive experience in Marketing and Sales to produce top results for all his clients. Mark's personal philosophy is one of putting people first and doing his best in whatever he undertakes. Mark understands the importance of being a part of an experienced and supportive team, all working together to get the best results for their clients. Honest, hardworking, and reliable are just a few of the words regularly used to describe Mel Allen. 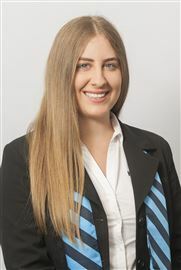 Since joining the industry in 2013, Mel has quickly established herself as a highly dedicated professional with a keen understanding of Perth’s ever-changing property market. Mel’s unwavering work ethic stems from her genuine passion for property and the thrill she receives from helping others to achieve their goals, whether it’s attaining a great price for her sellers or matching buyers with their dream property. Recognised for her commitment to her clients, it’s Mel’s kind and thoughtful nature that sets her standard of service apart, reflected by her high rate of referrals and repeat business. Mel understands the emotional significance of selling and buying a home, which is why she always takes the time to listen and engage with her clients, in order to gain a full understanding of their hopes and needs. As a strong communicator, Mel ensures her clientele stay up to date throughout the process, guiding them along the way to make the experience as simple and stress-free as possible. Respected by her peers, Mel has employed her finely honed negotiation skills and impressive attention to detail to achieve fantastic results time and again. Continually refining her skills as an agent, Mel looks forward to applying her experience and knowledge to helping you secure a successful outcome. Nick is a member of Team Trolio, a real estate team who collectively have grown up in Spearwood and Hamilton Hill. Team Trolio were awarded as a Reiwa top 20 sales team in Western Australia for the total number of listings sold in 2015. The team are complimented by Danielle, who assists in sales support. Unlike most other sales reps in the area, Team Trolio consistently invite other real estate agencies to work together in achieving the best outcome for their client. Between the team, languages spoken are English, Italian, Croatian and Serbian. They have experience in the marketing and sales of both strata and non-strata property, over 55’s residences, small and large development sites, vacant land and can be of assistance with commercial, business and rural transactions. The Team look forward to offering their services. They are supported by many testimonials endorsing their level of service and capability and hold a current sales license as well as a police clearance. Nick was involved in the food and beverage distribution sector for over 30 years, serving as a Sales and Food Service Manager of a large company for much of this time. Through this experience, he has gained many contacts and long term friendships. Santo has been involved in the Real Estate industry since 1969. He is the most experienced agent in the local area. He is a local resident and a proud member of his community. He has won many achievement awards for sales and excellent service from REIWA & Multi-Listing. He has also achieved the First National "Top Ten" salespersons Certificate (WA). He is a well known and respected local personality, being the League Team Manager for South Fremantle Football Club for 19 years, 5 times WA State Team Manager, Life member of South Fremantle Football Club and a recipient of the WA Football Commission Achievement Award 1996 for services to football. His personal business philosophy is one of putting his clients first - and doing his best in whatever he undertakes. He understands the importance of being a part of an experienced and supportive team, all working together get the best results. TEAM TROLIO Team Trolio comprises Nick Trolio and two of his sons, Craig and Luke, along with assistant Danielle Caruso. 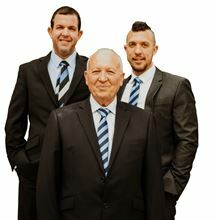 They are an award-winning team who continually perform well in both REIWA and Harcourt’s rankings. Some of their awards include: •	Number one sales team in Cockburn for 2017/2018 in WA amongst REIWA sales teams (REIWA) •	Leading number of current listings and recent sales in Spearwood as at April 7th 2019 (REIWA) •	Number one voted agent in Hamilton Hill for 2019 via ratemyagent (ratemyagent) •	Top 4 sales reps Harcourts WA 2018 •	Number 3 sales team in WESTERN AUSTRALIA by number of listings sold for the month of April in 2018 REIWA •	Number 18 sales team in WA by number of listings sold for the month of February in 2018 REIWA •	Number 12 sales team in WA by number of listings sold for the month of January in 2018 REIWA •	2017/2018 Number 2 number of sales Harcourts WA •	2017/2018 Number 3 number of listings Harcourts WA •	2017/2018 Number 4 overall Harcourts WA •	2016/2017 Number 19th sales team in WA (REIWA) •	2016/2017 Number 2 number of sales Harcourts WA •	2016/2017 Number 2 number of listings Harcourts WA •	2016/2017 Number 4 overall Harcourts WA •	2015/2016 Number 18th sales team in WA (REIWA) They share a focus of family first, honesty, integrity and always assisting where they can. The team regularly give back to the community via donations and support. Growing up in Spearwood and Hamilton Hill, and residing locally, they are well-versed to assist with the majority of your property needs. Languages spoken include English, Italian, Serbian and Croatian. Unlike many other sales reps, Team Trolio put the focus on their seller by always welcoming the chance to work with other agents and agencies from day one to achieve the best result for their seller. They have experience in the marketing and sales of traditional property, both strata and non-strata property, over 55’s residences, small and large development sites, vacant land and can be of assistance with commercial, business and rural transactions. The Team look forward to offering their services. They are supported by many testimonials endorsing their level of service and capability and hold a current sales license as well as a police clearance. Luke holds a current Triennial License having achieved his Diploma in Property, as well as a Bachelor in Commerce majoring in Marketing and Economics at Murdoch University. Craig is a Triennial License holder having achieved his Diploma in Property. He holds a Bachelor of Commerce in Marketing and Accounting from Murdoch University and is a multiple recipient of several awards for top performance across different Real Estate Groups. Nick was involved in the food and beverage distribution sector for over 30 years, serving as a Sales and Food Service Manager of a large company for much of this time. Through this experience, he has gained many contacts and long term friendships. Collectively they have over 45 years experience in the industry. Tracy Garbes Motivated, positive and dependable with a great sense of humour and love of diversity, Tracy Garbes is the ultimate professional, sales executive and business owner. Tracy’s drive, determination and motivation are obvious. As a former small business owner , Tracy understands that no two people have the same needs and desires. Regardless of whether they are vendors, buyers, landlords or simply those seeking advice, Tracy sees the person within and works accordingly to ensure their individual needs are met quickly, professionally and with the minimum of stress. With an ability to adapt herself to the needs of her clients to ensure that she delivers the best service she can, Tracy is constantly seeking the latest technological and marketing techniques to help her clients and, in turn, allow her business to grow. Loving the flexibility to work around family commitments that being an agent affords and with a strong team that includes partner Jason and daughter Jasmine, an unsurpassed local knowledge and a positive outlook that sees problems as nothing more than opportunities, Tracy is the agent you can trust to get the job done. My recent awards • 2018 winner of prestigious "Roy Weston" medal • The number one female agent for Harcourts WA in 2011 • Top 100 nationally in 2011-2014 • Business Owner of Number 6 best Harcourts office in Australia (out of 397). Jason Hapeta With a relaxed and easygoing manner that automatically puts those he deals with at ease, Jason Hapeta is a property consultant with a difference. With a wide and varied work history that includes such diverse careers as fisherman, oil-rig worker, factory manager and small business owner, Jason has taken to the world of real estate with his trademark focus and dedication to being the best he can be. Working tirelessly alongside partner and business owner Tracy and step daughter Jasmine to make Harcourts Realty Plus the area’s number one agency, real estate success truly is this family’s business. Honest, patient and caring, Jason knows how essential good communication is to any relationship. Understanding that being a successful property consultant often involves listening more than you talk, Jason knows that his role to help people achieve their dreams as simply and as quickly as possible. Grateful for the opportunities and freedoms real estate gives him to be his own boss and create his own path for the future, Jason’s engaging personality, honest outlook and happy demeanor ensure that a client today is a friend for life. Believing the old saying that you should ‘Be the change you want to see in the world’, Jason knows without a doubt that with the hard work and dedication for which is known, he will be the difference in real estate. Under Offer After 1st Viewing! A Memory Cast In Tradition! Buy One Or Buy The Pair! Step Into Your Summer Delight! Best Buy In Bibra Lake! 2 Gone Already, 1 Remaining! Under Offer By Team Trolio! Under Offer By John Neri! Owner says it's time to sell!